Tom Lane, more commonly known as Ginger Monkey, is an independent designer, letterer, and illustrator currently living in Bristol (UK). 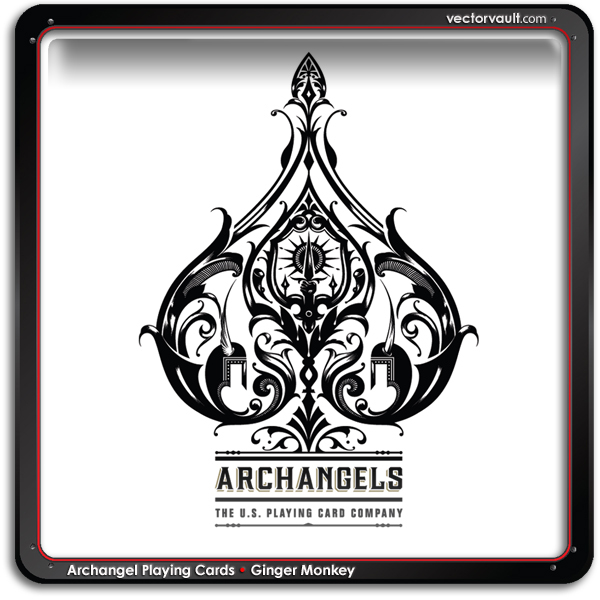 The deck is obviously stacked in his favour with this brilliant deck of playing cards. Inspiring craftsmanship and creativity that will no doubt be appreciated at poker tables around the world. Well done! The good people at Theory11 got in touch last year after spotting my work on the Behance network, particularly the Heston Blumenthal cookbook I helped develop a few years ago. The Theory11 team gave me free rein to devise a concept for the deck design. As is often the case I knew I wanted to create something epic, pushing the detail and visual story to the limits. I anchored my approach around the idea of a battle between angels and demons over the power of night and day. I used this opportunity to explore my detailed ink drawing technique so the vast majority of these designs started off hand-drawn, and were digitised later once approved. The process to create all the artwork, which went through a few rounds for each piece, took around 6 months on & off to complete. As we we’re drawing to a close with the project, the artwork was shown to Bicycle Playing Cards who have a close relationship with Theory11. 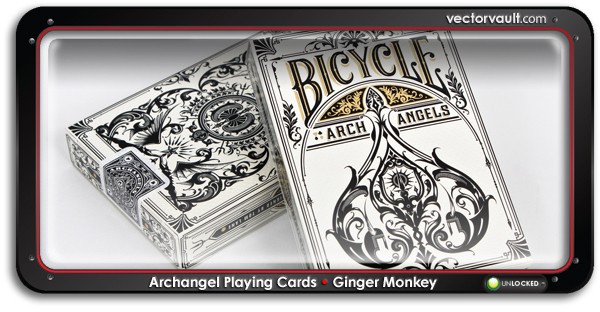 They duly snapped it up and offered greater distribution and the opportunity for our design to join their ranks and be part of the vast Bicycle Playing Card history spanning over 125 years.